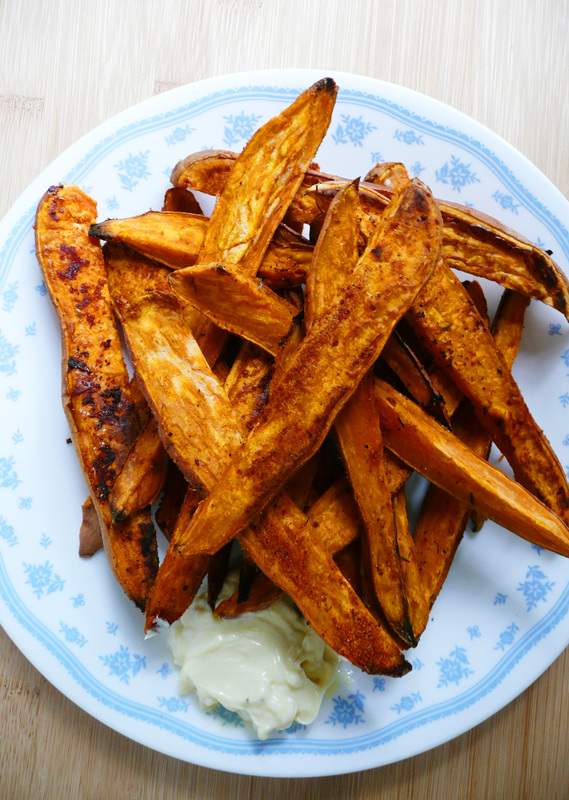 These garlicky paprika sweet potato fries make a glorious side dish when you’re craving carbs, and are my go to snack when I’m craving junk food but want to eat something a little healthier. 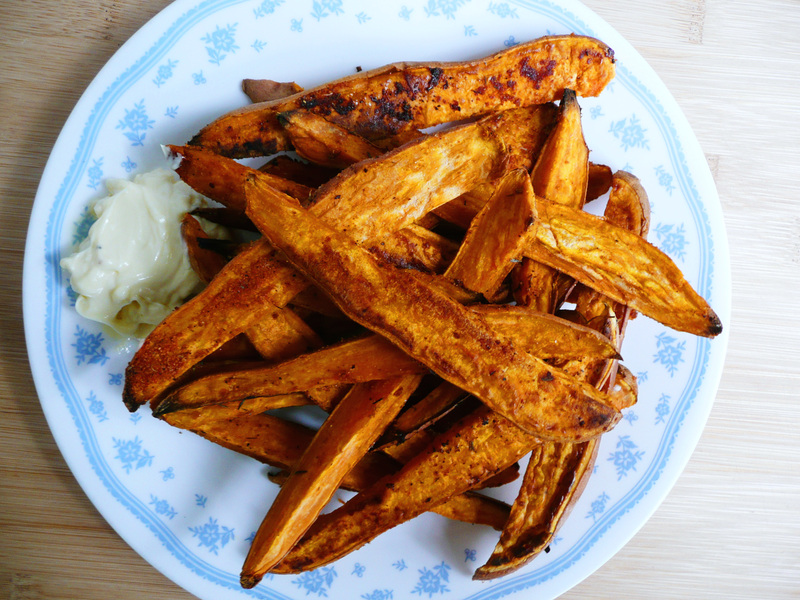 Sweet potatoes are a great source of vitamin A, magnesium, and potassium (which is great) but what really matters is that these sweet potato fries are really satisfying. I love dipping them into creamy avocado mayo (sometimes with a bit of finely minced garlic mixed in) and they are also good with honey mustard. 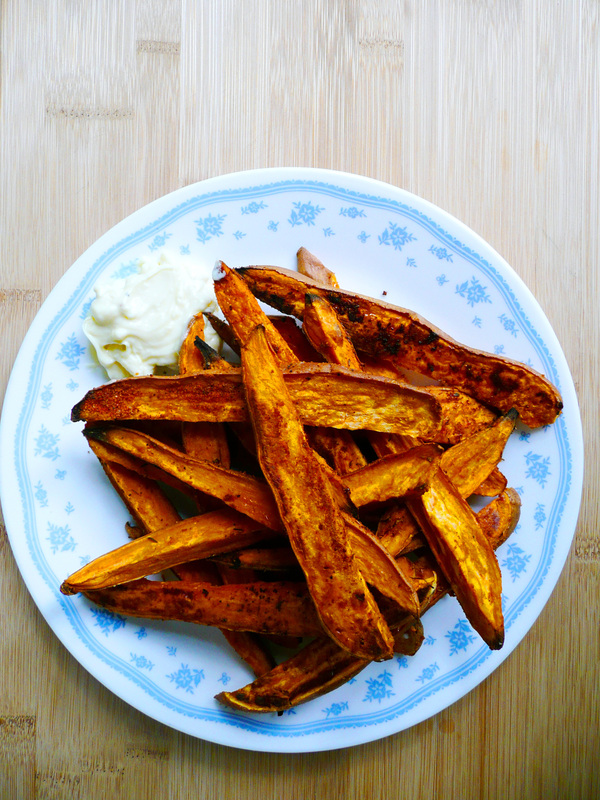 Next time your craving junk food, give these sweet potato fries a try. If you’re anything like me, you find that you’ve eaten them all before you know it. 2. 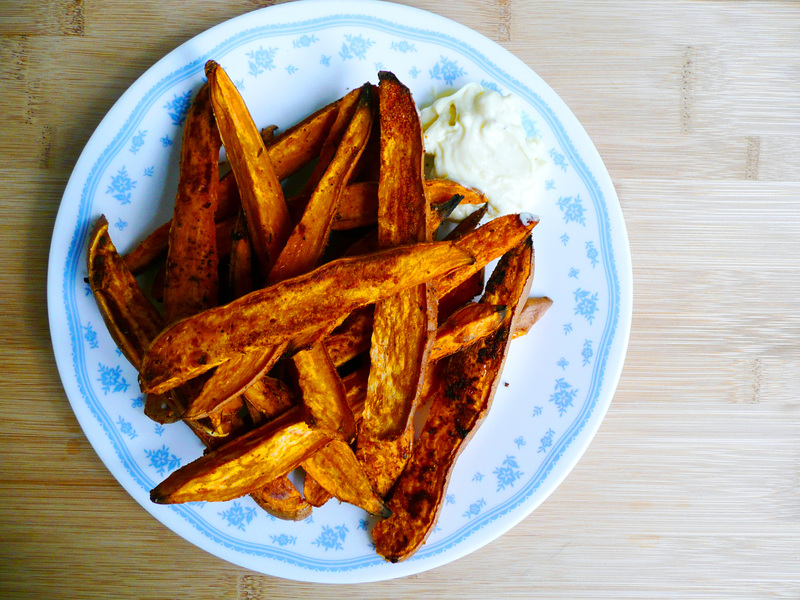 Give the sweet potatoes a good scrub and cut each sweet potato into 8 wedges. Place the sweet potatoes into a large glass baking dish with the oil and toss gently. 2. Stir together the salt, pepper and other spices. 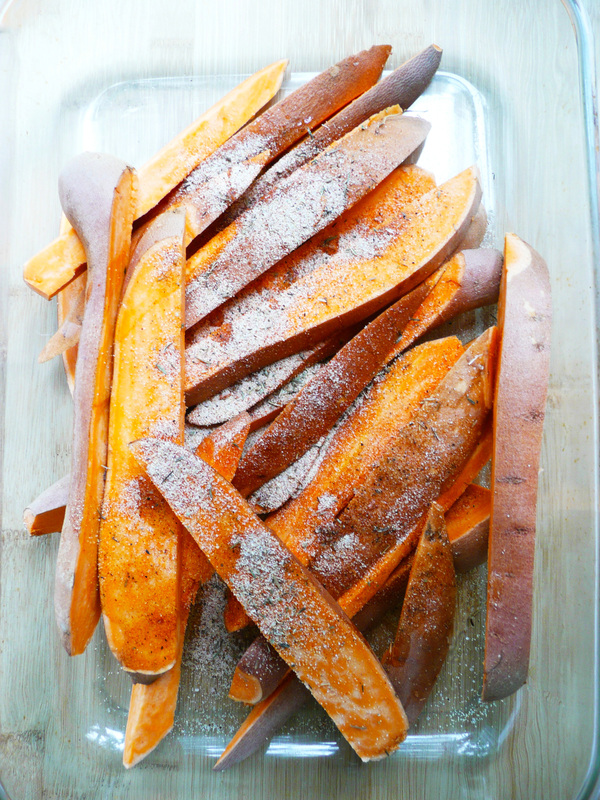 Sprinkle the spice mixture over the sweet potatoes and give it all a good mix so that the fries are well coated. 4. Arrange the sweet potatoes onto the baking dish so that they are in a single layer. My baking dish was a little too small to fit all of the fries. So for this amount of sweet potatoes I used a 3 qt (9 in. x 13 in.) glass pyrex baking dish and a 9 in. pie plate. 5. Bake for 35 – 40 minutes until crispy and golden brown around the edges. The fries look wonderful – and very healthy. I was surprised how little oil the recipe called for. I love sweet potato fries! Your recipe sound delicious! Thank you for sharing it!